At Designathon Works, we help to empower and unleash children’s creativity and to spread awareness about the importance of engaging children as co-designers of our shared futures. Our flagship event: the Global Children’s Designathon, last took place on November 11th, 2017. During this event 600 children, aged 7 to 12 years, participated in 18 cities around the world, where they created solutions to this year’s big societal and environmental issue: WATER. Kiera and Florian co-facilitated the Amsterdam event. 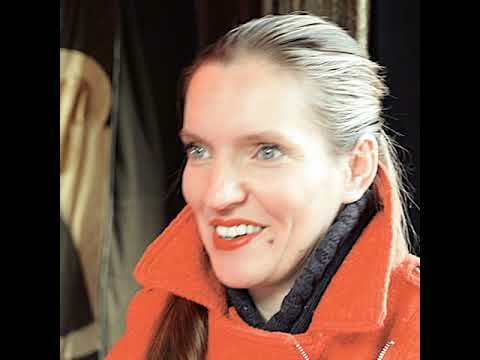 In this podcast Katharina shares her framework that outlines how co-creation can be facilitated successfully in such a multi-stakeholder environment. She explored the co-creation practices in the living lab JOSEPHS, located in the city centre of Nuremberg. A living lab is a space where real users are actively involved in the development, introduction and commercialisation of new services and products. Companies present ideas, early prototypes or even products and services at an advanced development stage in order to receive authentic feedback from users. At the moment the planet is running out of resources to feed its inhabitants, and within the next 20 years the world’s population will increase by 24% to a staggering 9.2 billion. How can the circular economy help to overcome this challenge? The Earth is already not able to provide us with enough energy, materials, water and food. Scientific research shows that we have crossed our planetary boundaries and have crossed the red line. Now, the Earth can provide resources – in a sustainable manner – for the first 9 months of the population’s annual demand. Natural resources for the remaining 3 months are used up and ecological deficits are created rapidly. 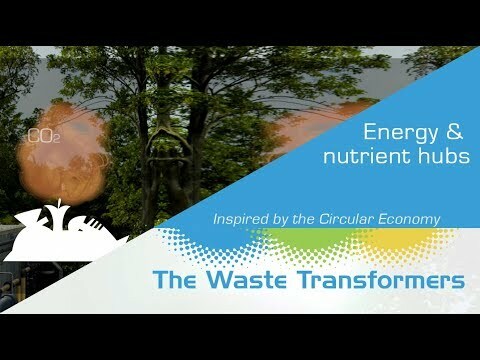 The Waste Transformers create decentralized, nutrient and energy hubs by converting residual waste streams into energy, whilst recovering (on-site) the natural resources and water in the waste. The Waste Transformers empower local communities to leverage their waste for positive change. Using smart business models, they do this in a way that is financially attractive today. It is a small-scale, high impact approach that is revolutionizing the way we deal with organic waste. It is of relevance to know that different organic waste streams produce different types of value. Banana peels will naturally produce a higher biomass potential than for example tea leaves. Organic streams can be mixed together to produce an abundance of value. 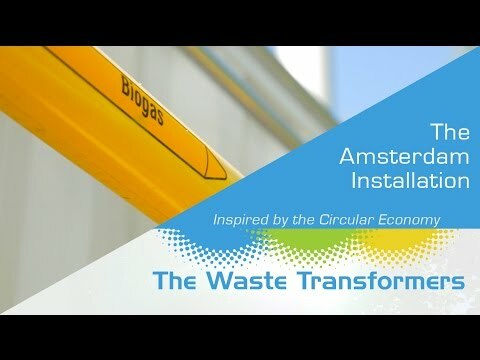 The Waste Transformers are active in several locations including the Netherlands, South Africa, Sierra Leone, Hong Kong and South America. They are growing very quickly, and are delighted to continuously host several delegations from all over the world, every month with whom we collaborate.